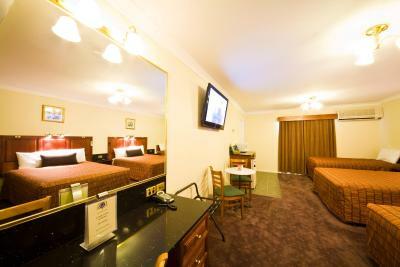 Lock in a great price for Comfort Inn & Suites Georgian – rated 8.7 by recent guests! The rooms were a great size. All the amenities in the room were fantastic for the price we paid. The TV was quite large and not like the tiny screens you get at most motels. Better upgrades than most and really comfortable bed. Awesome staff as well. 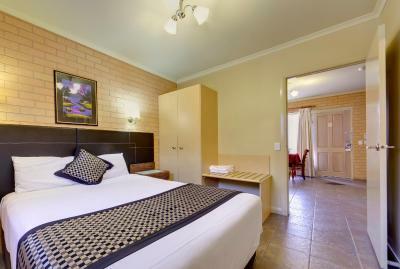 Great location, great rooms and the family rooms have plenty of beds so teenagers dont have to share a bed. Comfortable and free wifi, it was the perfect stop over for us. Breakfast was fresh, simple and excellent value. Restaurant was closed on this day but room was comfortable & Quiet. The warm and friendly hospitality. The in house restaurant. Large family room. Comfort Inn & Suites Georgian This rating is a reflection of how the property compares to the industry standard when it comes to price, facilities and services available. It's based on a self-evaluation by the property. Use this rating to help choose your stay! 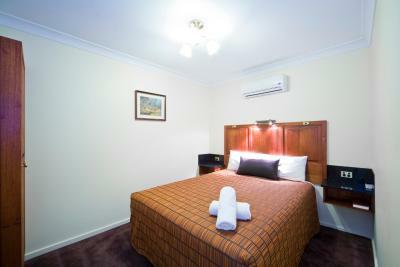 One of our top picks in Albury.This motel is located in central Albury, just off the Hume Highway and in close proximity to the airport and train station. 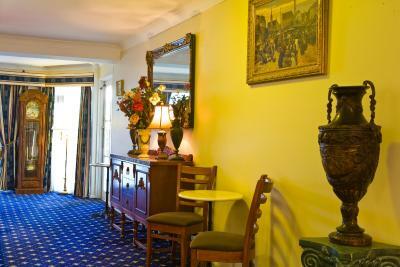 It offers free private parking and free WiFi in all areas of the property. Comfort Inn & Suites Georgian features spacious air-conditioned apartments and family suites with a flat-screen TV with free cable channels. 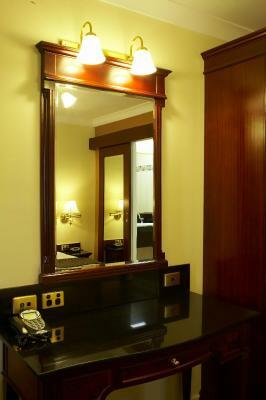 Some rooms include a modern kitchenette with a microwave, and all feature a mini-bar and refrigerator. 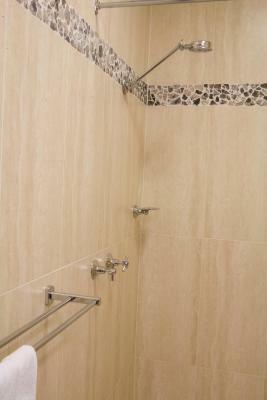 Some rooms are equipped for guests with limited mobility. 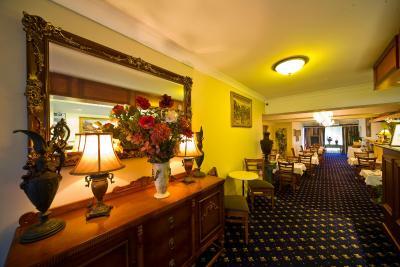 Guests can enjoy international dishes and characteristic Australian cuisine at the hotel’s restaurant, Rosina's On Young. The restaurant and bar are open for dinner from Monday to Friday 18:00 - 20:00. Guests enjoy a full hot buffet breakfast each morning. 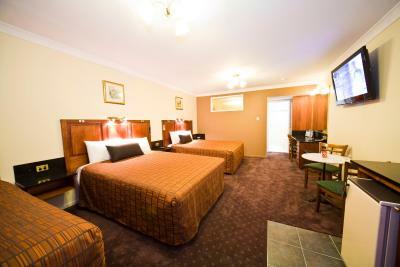 There is a golf course less than 1.9 mi from the Comfort Inn & Suites Georgian Albury. Albury is a gateway to explore the wine region around Rutherglen and the historic goldfield towns of Beechworth and Yackandandah. When would you like to stay at Comfort Inn & Suites Georgian? Large 2-story apartment with a lounge room. It features an electric kettle, dining area and mini-bar.. 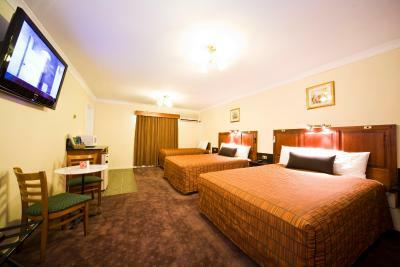 This room with a separate bedroom and large flat-screen TV with free cable channels. Please note that the price is based on 4 guests. Maximum occupancy is 7 guests (see Hotel Policies). 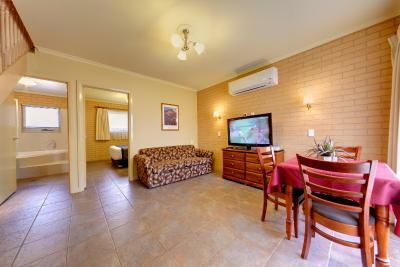 This room featuring a spacious living and seating area. Large 2 story apartment with a lounge room. It features an electric kettle, dining area and mini-bar. 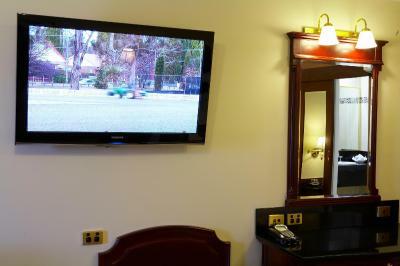 There is a TV with free cable channels. House Rules Comfort Inn & Suites Georgian takes special requests – add in the next step! Debit card Comfort Inn &amp; Suites Georgian accepts these cards and reserves the right to temporarily hold an amount prior to arrival. Comfort Inn & Suites Georgian accepts these cards and reserves the right to temporarily hold an amount prior to arrival. Reception is available 24/7, please use the door phone when the reception door is closed. Super friendly staff, couldn’t do enough for us- after a big day on the road. A fantastic evening meal in the restaurant and breakfast the next morning. 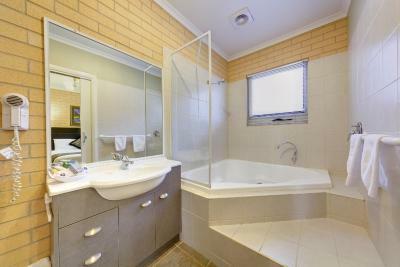 Location was perfect, room was clean with everything required. Checkin n out was quick Room ready on arrival I had asked for early checkin. The air-conditioner was in a strange location half behind the wardrobe. Occasionally, if people were smoking outside that cigarette smoke came into the room. The breakfast was very good - a full hot cooked breakfast with all the usuals such as juice, freshly made percolated coffee, great sausages, good scrambled eggs. etc. 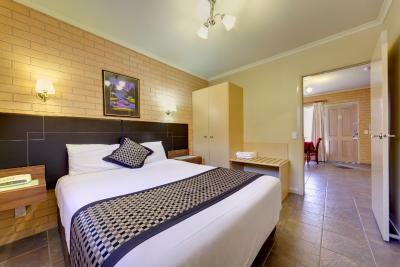 The motel was very well located and easy to find and the room was pleasant and comfortable. We were given a disabled room (probably because the owner saw me limp stiffly out of the car when we arrived) and the bathroom was consequently very large and commodious. The owner was extremely friendly and helpful. 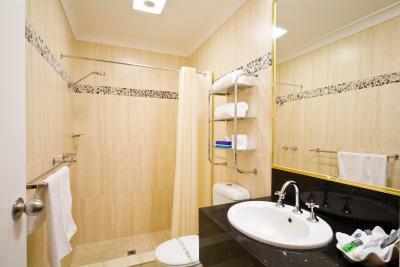 Beautiful decor, luxurious elegant room and a decent shower. 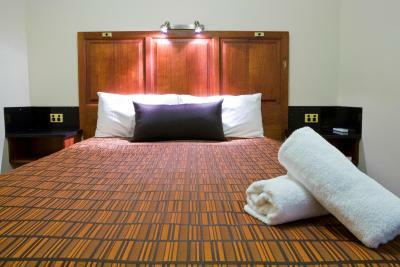 The owners meticulous eye for detail showed in the cleanliness of the rooms and grounds. Breakfast was delicious and top quality coffee was a welcome. I would definitely book again! The Georgian decor in the rooms and dining room were so refreshing from the normal sterile motel rooms. Roy and his staff customer service were top notch.